You've got a lot of options when it comes to furniture, so do your research and look into where sells the best options for you. Badcock's & More have plenty of options for you in their multiple South Florida stores. If you're looking for living room sets in Fort Lauderdale, West Palm Beach, Delray Beach, Pompano Beach, Plantation, Hollywood, Lake Worth, Lake Park, Cutler Bay, Miami Gardens, & Florida City, then we have the right option for you. Start looking around online to get inspiration for your perfect living room, and save anything that catches your eye. You can start printing photos out or save them on a site such as Pinterest, but either way, make sure you're making a record of what you like. Don't worry about the cost of anything you save. It's all about getting an idea of what you want right now. You can create the same looks for much less if you have the right know how. Before you bring in any new furniture, you're going to need to decide what's staying in your living room. This will very much depend on you and what you use your living room for. Declutter as much as you can, as the less visual noise going on in your living room, the better. Try and save as much floor space as you can. The more you have, the more spacious the room will feel. It'll also stop you tripping up on furniture as you try and move around! Everyone's living room has a different focal point. It all depends on how you use the room. If you love TV, video games or movies, then your TV is going to be the focal point. If you like playing tabletop games, then a good, sturdy coffee table is the focus of your room. If the room is for friends and conversation, then you'll want a fireplace that can crackle and roar in the winter months, making a wonderful backdrop to your get-togethers. Make sure you know what the focal point is before you start decorating. The quickest and easiest way to make a living room look 'together' is to buy a matching furniture set. As you look around, you'll see that there are lots of options when it comes to your living room. The South Florida Badocks & More locations in Fort Lauderdale, West Palm Beach, Delray Beach, Pompano Beach, Plantation, Hollywood, Lake Worth, Lake Park, Cutler Bay, Miami Gardens, & Florida City have complete living room sets that you'll love. Just come in or get online and take a look at what we can offer. The most obvious purpose of a living room is to seat people. The number of people you'll want to set will depend on the size of your family, and whether you have guests over to your home often. In most cases, having space to seat 6 people is optimal. If you can have seats and couches that fir this many, that's perfect. If you can't, you can try using ottomans under the coffee table or desks, that can be pulled out as needed. You'll need lighting that works with every activity you do in your living room. You'll need lights for playing games, watching TV, chatting with friends, the works. Think about where your lights will go, and how you'll use them. For example, if you love reading in your living room, try placing a lamp behind your favorite chair. There are all kinds of reasons why you'd want to use plants in your living room. They add vibrancy to a room, making it feel more alive and enjoyable to be in. They also purify the air, so they're well worth including in the rooms' decor. If you're worried about keeping plants alive, or don't have good lighting in your living room, silk plants can still give you the same feel without the upkeep. If you're looking for living room sets for sale in Fort Lauderdale, West Palm Beach, Delray Beach, Pompano Beach, Plantation, Hollywood, Lake Worth, Lake Park, Cutler Bay, Miami Gardens, & Florida City, we have you covered. 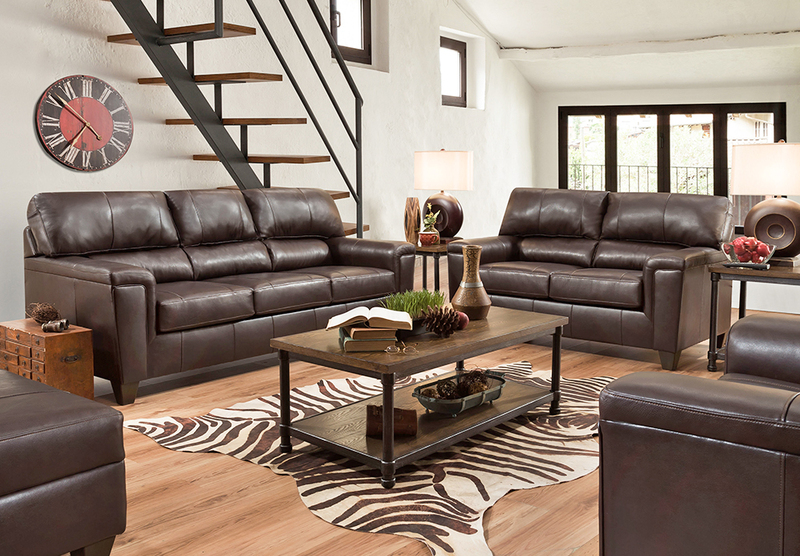 Come check out our selections today and get a whole new look for your living room.